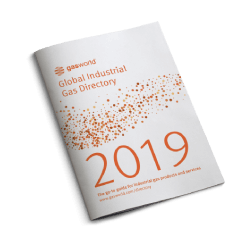 The geographic extent of the market that is serviced by any industrial gas supplier has historically been limited by the cost of transport and the thermal efficiency of cryogenic road tankers, to minimise the loss of product in transit. Economic and environmental factors make road transport increasingly undesirable for destinations further than 600km, according to some sources. Infrastructure and capacity for intermodal distribution, however, extends across continental Europe and across the Mediterranean, into North Africa and the Middle East. Intermodal freight transport is based on the use of containers or vehicles that can be transferred between two or more modes of transport without any handling of the goods or material, in order to move a shipment from origin to destination faster, with greater security or at reduced cost. Examples of intermodal transport include the ‘piggyback’ transportation of road trailers on rail cars and ferries and the use of purpose built roll-on, roll-off ships for the import and export of automobiles/vehicles. 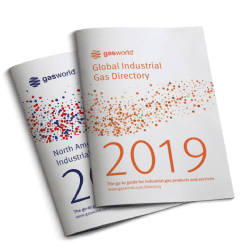 The Tier 1 players in the industrial gas industry are not seen as a driving force in this development, preferring to rely on their own road-based distribution assets. 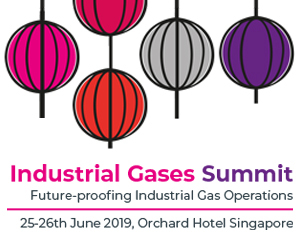 Rather, it is customer demand in locations where supply is constrained or overstretched, that has provided the motivation for transport logistics companies to invest in the container assets that support the expansion of intermodal distribution of liquefied industrial gases. “It is our ambition to grow our gas activities in the coming years in close dialogue with both existing and new customers. 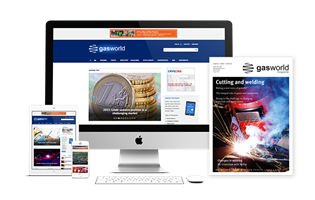 Upcoming markets in Eastern Europe and Russia are important, but so too are the traditional markets in Western Europe,” Hans Kok, of Netherlands-based Den Hartogh Gas Logistics BV, assured gasworld in a recent interview. Intermodal distribution involves far more than the containerisation of goods, it requires seamless and integrated coordination of freight and equipment flows through various transport modes. Success demands the removal of infrastructural, technical, organisational and legal shortcomings in the logistics’ chain caused by lack of co-operation between the different modes of transport. This means coordination of infrastructure capacity, including policy and regulatory issues and broader considerations, in the planning of new infrastructure developments. 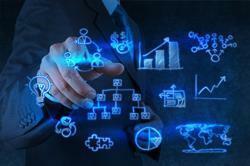 **Customers and supply chain operators require all this to be executed more profitably. The backbone of intermodal gas transportation is formed by 20ft cryogenic tank containers of around 20,000 litre capacity. These units are capable of a holding time for liquid argon of up to 130 days and thereafter lose a mere 0.18% of their capacity per 24 hour period, which enables the shipment of product over distances exceeding 1000km with ease. Important technical specifications when selecting containers for intermodal distribution in order to optimise efficiency are the tare mass, Maximum Allowable Working Pressure (MAWP) and Nominal Evaporation Rate (NER). A container with minimal tare mass will maximise distribution efficiency because the ratio of product mass to container mass is optimised. Obviously the reduction of tare mass beyond certain limits can compromise the strength and durability of the unit. A high MAWP value indicates that the tank is designed to operate safely at high pressure and will therefore be fitted with pressure relief valves that contain the product pressure for a longer holding time. A low NEP value indicates that the thermal insulation of the container limits heat ingress into the inner vessel more effectively and this means that product loss will be slower after the pressure relief valves have opened. 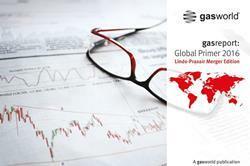 **In Europe the total cost per tonne/km for intermodal transport is normally less than road transport for distances over 600km, so product can be delivered more profitably. **The increasing price of diesel fuel, driven by higher crude oil prices, increases the potential for cost savings. **Intermodal transport is a reliable alternative due to seven day-per-week operations and the avoidance of traffic congestion. **Intermodal transport removes significant volumes of traffic from the road and this reduces the carbon footprint of industrial gas distribution. **Tank containers can be used as temporary product storage facilities by placing them close to customer facilities. This can simplify the installation, enabling fast start-up for new customers or provide additional storage capacity to existing ones. Rapid growth in the volume of freight movements around the globe, growing pressure to reduce carbon emissions and the price volatility of petroleum fuel have stimulated the development of new freight rail corridors around the globe. Major capital sums are being invested in infrastructure and rolling stock to support the goal of significantly increased quality of service, based on standardised infrastructure and harmonised service agreements. The concept of trans-European transport corridors arose after the fall of the Berlin Wall. They are meant to facilitate the exchange of goods, persons, oil and other energy supplies, and telecommunications systems between Europe and the Balkan countries. In 1990 the European Commission adopted the first action plans on trans-European networks including a transport network known as TEN-T.
Plans include coordinated improvements to primary roads, railways, inland waterways, airports, seaports, inland ports and traffic management systems, so as to provide integrated and intermodal long-distance high-speed routes for the movement of people and freight throughout Europe. Six corridors were established in 2006, as part of a European network dedicated to freight rail transport that boosts the efficiency, reliability and sustainability of end-to-end freight rail traffic. The Betuwe Line is a 160km, €4.7bn, double-track freight rail line stretching from the port of Rotterdam, Europe’s largest, to the German border at Zevenaar-Emmerich. It is a key part of the Trans European Network’s (TEN) Trans European Freight Rail Network (TEFRN), which aims to allow freight trains free access across the entire EU without having to stop at borders or make way for passenger trains. Similar lines link the French and Spanish rail networks, as does a connection through the Alps between Italy and France. Liquid carbon dioxide is shipped intermodally from Spain to supply a major international softdrink producer in North Africa, and from France to water purification stations in the Caribbean. Liquid oxygen is delivered from France to North Africa. Liquid argon is shipped from Europe to a microchip production facility in Israel. These are just some of the examples of the prominence and growing use of intermodal distribution across the globe. Within Europe there are big flows of product by rail and ferry and liquid nitrogen, liquid oxygen and helium are transported this way to the UK using gas containers and tube trailers. Why is this supply mode becoming quite so popular? Without making any sweeping statements, there are a number of reasons for this method of supply growing in popularity. 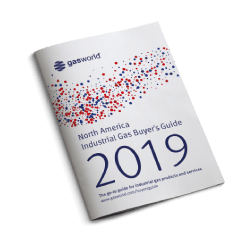 Intermodal distribution allows a gas supplier to establish market share in a new market or region without first investing in an ASU or argon separation column. Bulk liquid containers can be exchanged on a full-for-empty basis. Seasonal demand for gases can be conveniently supplied using intermodal distribution and this avoids the capital required for static bulk storage tanks. Gases required for purging and pressure testing applications can be conveniently transported to sites inaccessible by road tanker. 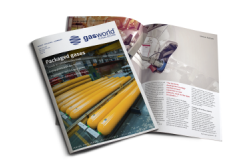 Further still, bulk liquid containers can be easily used to provide portable a gas supply for pumping into high pressure cylinders required by the packaged gas market. Engineering or construction projects in remote locations are an example where the entire cylinder filling operation needs to be skid mounted for easy relocation. During most of the 20th century each of the transportation modes (air, inland water, ocean, pipeline, rail, and road) has gone through technological evolution, while operating independently under a modally-based regulatory structure or framework. Renewed focus on intermodal freight transportation, driven by the changing requirements of global supply chains, has exposed the need for both integration and cooperation. The European Intermodal Association (EIA) is the first European association open to all transport modes and provides a discussion forum for controversial subjects affecting the performance of the logistics chain. Its objective is to reach balanced and sustainable solutions to outstanding infrastructural, technical, organisational and legal shortcomings – and therefore improve the EU’s transportation policies. 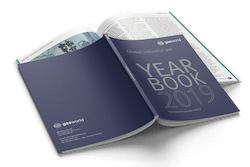 The Intermodal Europe exhibition and conference, which is held annually and provides a showcase for newly developed systems and equipment, recently took place in Amsterdam and will be held in Hamburg in 2011. The challenge of optimising transport options demands that managers become highly knowledgeable in all of current and future intermodal options and alternatives, and has created the need for intensified transportation education at all levels. Education is increasingly focused toward the operational, marketing, financial, economic, and competitive factors of the various transport modes and their intermodal execution. Taylor Minster Leasing B.V., based in the Netherlands, has completed the acquisition of the shares of both TML Tankcontainers Ltd in Marlow, UK and the management company Taylor Minster Leasing Ltd.